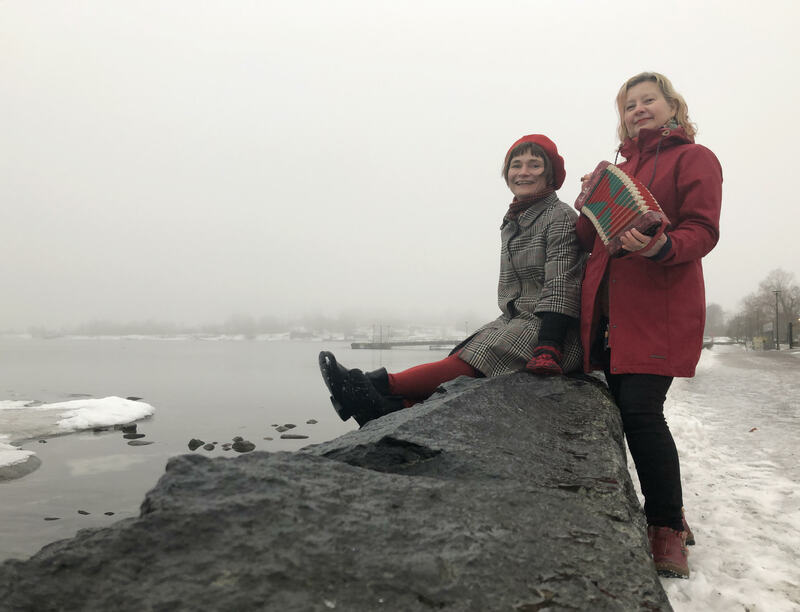 Accordion artist Maria Kalaniemi will tour in Japan, February 13-17, 2019 while photographer, video artist Elina Brotherus will exhibit in Tokyo, February 12 – March 9, 2019. Both the exhibition and the concerts will feature a selection from their joint music video project Tango trousers. In the concerts, Maria Kalaniemi performs also material from her earlier albums Bellow Poetry, Vilda rosor and Svalan; lyrical and meditative moods, Finnish Swede and Finnish folk music with her own arrangements. The tunes will lead the listeners from one atmosphere to another, in a deep dive to the world of the accordion. In addition to the accordion bellows, Kalaniemi uses also her own bellows – to sing. in Tokyo, Yumiko Chiba Associates, Viewing Room. The gallery has held a large number of solo shows of established artists from both Japan and oversees. Brotherus’ exhibition features a selection of her video works from early pieces to her most recent production, never before seen in Japan. Brotherus’ previous solo show in Tokyo was in the National Art Center in 2008. Her first exhibition in Japan was curated by Yumiko Chiba for Cassina Art Project in 2003.